Bay Area non-profit is attracting star attention. We can hear the screaming fans already. Pop sensation Justin Bieber is performing a benefit concert for the Bay Area non-profit program College Track. He'll take the stage Saturday, June 11th at the Mountain Winery in Saratoga. The tickets are pricey, but go to a good cause. College Track is a program that helps under-resourced High School students earn a degree. It's marking it's 10th year and is attracting a number of high-profile supporters. Will.i.am of the Black eyed Peas spoke at their 2011 graduation. The folks at Pixar are also allowing them to hold a pre-release outdoor screening of Cars 2 to benefit the program. That's June 18th. 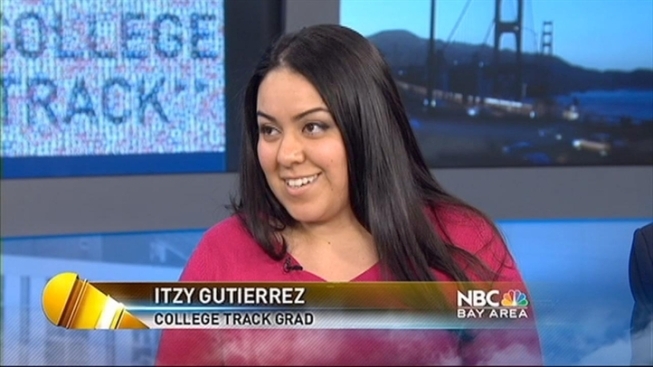 NBC Bay Area's Brent Cannon sat down with College Track CEO David Silver and program graduate Atziry Gutierrez recently. Gutierrez just graduated from Stanford University. "I didn't think I had what it took" says Gutierrez about getting into Stanford. Her father is a migrant worker and she says she never imagined as a child that she'd cross the barrier from East Palo Alto to Palo Alto. Mentors at college track help kids develop strong study skills and support them through the college application process. They also help with scholarships and funding. "If kids show the resiliency- if kid's are putting and doing everything that it takes, we're going to provide the support to make sure that they not only get into, but graduate from college," says Silver. The program just launched the "I am Scholar" program. They partenered with Will.i.am to provide seven students with scholarships of $10 thousand a year for the next four years.